On 3rd August 2015 at Walsall Magistrates’ Court, a security company, Louis Alexander Ltd based at the Trent Business Centre, Lichfield, Staffordshire, the company director and two security guards deployed by the company were sentenced for various offences under the Private Security Industry Act 2001, and the Forgery and Counterfeiting Act 1981. 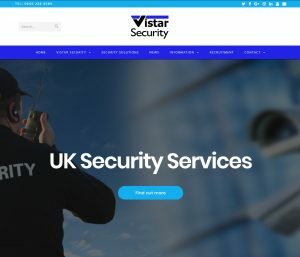 The company pleaded guilty to five offences in relation to the supply of unlicensed security guards at five construction sites over an 18 month period involving seven unlicensed security guards being deployed on over 500 shifts. The company also pleaded guilty to holding itself out as an SIA Approved Contractor, when no longer accredited for that purpose. All the unlicensed guards were engaged on zero hour contracts, some of whom were working using a false SIA licence. Khan William Rose (the company director), of Laburnum Grove, Burntwood, Staffordshire, pleaded guilty to five offences of supplying unlicensed security guards to construction sites in Telford and Newport area of the West Midlands and one offence of failure to provide information to the Security Industry Authority, (SIA). Clement Ezeazu (unlicensed security guard), of Church Way, Stirchley, Telford, pleaded guilty to using a false instrument, which he passed off as an SIA licence and also working as a unlicensed security guard on 152 occasions. 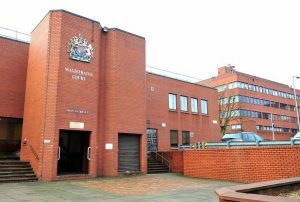 Trevor Ranger (unlicensed security guard), of Jane Lane Close, Bentley, Walsall, pleaded guilty to working as an unlicensed security guard on 156 occasions. The company Louis Alexander Ltd, was fined a total of £3,500.00 for six offences and required to pay costs of £10,303.40 and a victim surcharge of £100. Ezeazu was fined a total of £350 for his two offences and required to pay a contribution to the costs of £200 and a victim surcharge of £20. Ranger was fined £150 for his offence and required to pay a contribution to the costs of £200 and a victim surcharge of £20. Ranger was given a sentence discount for an early plea of guilty.